This weekend I stopped by the Stumptown Comics Fest to see my friends Graham, Stumptown Underground and of course the IPRC. As I was making my way through the participants I came across Atrox Comics and Beastlies, who make comics using 3D sculpted figures of the monstrously cute kind. I bought one of the smallest figurines, dubbed him Canary Clay, and promptly took him on a walk around his new neighborhood. 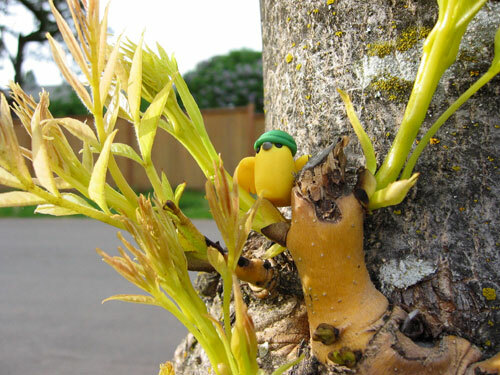 Canary Clay surveys his new 'hood in appropriate protective tree-climbing headwear. 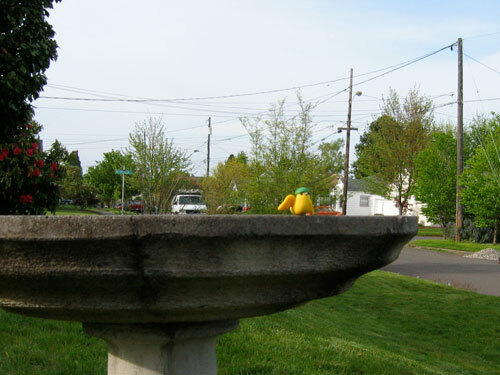 The neighbor's bird bath got some use. 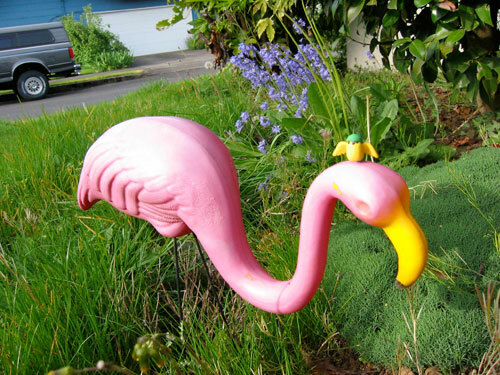 Canary Clay makes a new friend, Rhonda the Flamingo. He invited her back to the bird bath but she would have none of it. 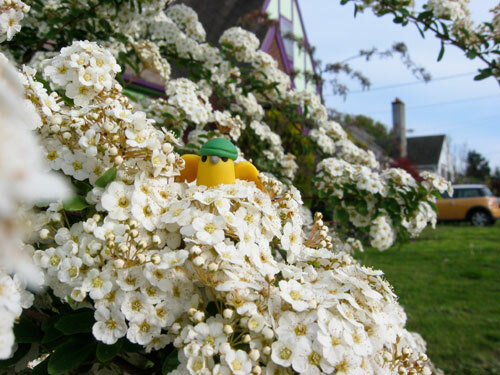 Canary Clay rests in some foliage and wonders how Mini Cooper got a hold of his proprietary color.